The commissioner of police in Osun State, Mr Olafimihan Adeoye has reiterated that effective policing is a collective responsibility of every citizen and lauded hunters in Osun for raising to the task. Speaking at an Annual Anniversary and fundraising programme of the Association of Hunters in Osun, the police chief stated this at Osogbo City Hall in Olorunda local government area of the state over the weekend. According to Olafimihan who was represented at the function by Mr Suleiman Ishola, a Superintendent of Police and Officer in Charge of Anti-Kidnapping Squad of the Osun State police command, the state is at peace because of the combined efforts of the police and several concerned groups including the hunters. The CP noted that the police has a working and cordial relationship with hunters in the state and that has further strengthened the peace in the state. "The hunters have assisted the police in several ways. We have already arrested and prosecuted many criminals while some are still been trailed, with the support of the hunters. Today, Osun is a no go area for hoodlums and terrorists and we hope to do more, " the CP added. In his remarks, the coordinator of the hunters, Chief Nureni Hammed applauded the police for making Osun peaceful and less prone to crisis. He revealed that the group would continue to support the police and would not relent in its commitment to make Osun crisis free. The hunters particularly singled out anti-cultism efforts of the command and conferred a special award of recognition on SP Suleiman Ishola, the Officer in charge of the anti-cultism squad of the command. 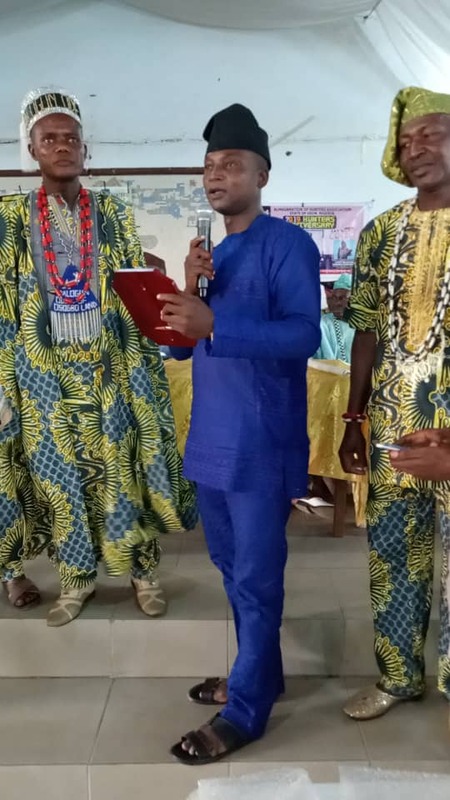 Also, with a resounding appraisal and heartwarming encomium, the hunters awarded Mr Afolabi Lukman, a Deputy Superintendent of Police and Second-in-Command of the Anti-cultism squad, "Solu dero of Osun State." Mr Lukman was said to be at the forefront of the anti-cultism activities of the command. The awardees, Chief Nureni observed, were specially recognised for their commitment and consistent efforts in ensuring that peace reign in the state.